JoAnne Smith dislocates joints two or three times a week. A strong sneeze can jolt her shoulder out of its socket, she said, and when she stands, her knees pop and crack and she has to take short, shuffling steps. Smith was diagnosed with Ehlers-Danos Syndrome (EDS) nearly a decade ago. It’s a rare genetic disease that affects her body’s ability to produce collagen, leaving her with Slinky-like joints that loosen. She’s in constant pain and each day swallows a virtual pharmacopeia of medications. DISJOINTED : JoAnne Smith suffers from a rare condition that causes her joints to easily dislocate; Smith has had difficulty obtaining treatment. Six months after learning she has EDS, Smith slipped on a marble floor and hit her head. She was unconscious for about 20 minutes and awoke to a life that would never be the same. After the fall, Smith was diagnosed with Central Auditory Processing Disorder, a brain injury that severely limits her short-term memory. She used to write extensively and was working on a book. Now she has to write reminder notes, but sometimes forgets to read them. She only remembers “snapshots” of conversations. As she struggles to remember details her brow furrows and her eyes wander. Smith was an avid skydiver and climber before the accident but now is unable to work. She tried to teach a community college class in New Mexico, but despite good student reviews, realized that she was no longer dependable as an employee. She now resides in a double-wide trailer on the outskirts of Paso Robles and depends on $162 worth of monthly food stamps and on her two sons for help with her rent and bills. Smith was covered by her husband’s employer-provided health insurance, but the couple divorced and she went without treatment for a year, only recently getting medical coverage through San Luis Obispo Community Health Centers (CHC). Although Smith has access to local doctors through CHC, getting an appointment with one can be very difficult, in her experience. JoAnne Smith once had some “troubling symptoms” and spoke with the on-call doctor at CHC, who told her to immediately schedule an appointment. 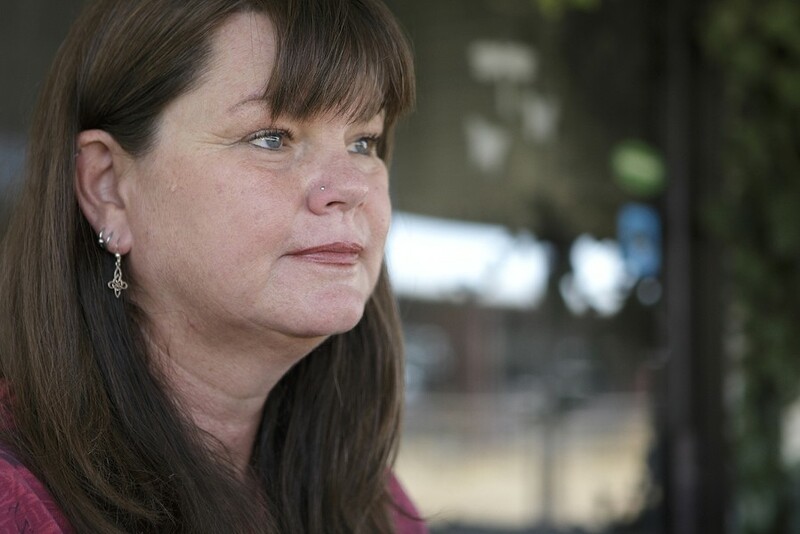 She couldn’t afford the cost of an ER visit—her Medi-Cal and disability coverage is still pending approval—so Smith chose to wait for a primary care physician, but ended up waiting a week. “We are somewhat limited and we’re always trying to expand services, but we’re kind of hamstrung right now, especially with the county cuts and the state budget,” Steve Smith said. JoAnne Smith has trouble remembering how often she visits the doctor, but she keeps a stack of business cards about one-inch thick as a reminder. The severity and rarity of her condition often baffles new physicians. The clinic has a high turnover rate and she is shuffled through visiting doctors brought in to fill the gaps. They don’t understand her medical history and have trouble treating her, she said. TRICKSTERS : Dr. Fred Vernacchia’s administrative costs are rising, but insurance companies are tricky in how they reimburse doctors. Smith is fed up with the long waits and lack of medical stability she faces constantly in SLO County. Even under her husband’s insurance she said finding a primary care physician was a chore because many of the doctors simply weren’t accepting new patients. She is thinking about leaving the county in search of better access and better care. Smith can’t afford an ER visit, when getting an appointment with a primary care physician takes too long. But for others in the county, the emergency room is the only option for care. Dr. Tom Hale is an emergency physician. When someone comes to him in need of treatment he is legally obligated to provide it under the Emergency Medical Treatment and Active Labor Act. Primary care physicians often send patients to his door because of that mandate, he said. Speaking to the county Health Commission last month, Dr. Fred Vernacchia reported that SLO County ER visits increased 29 percent between 2000 and 2007. During that same time span, the county population expanded only 7.6 percent. French Hospital had about 15,000 ER visits in 2007, but through July 2008 there had already been about 10,000 visits, according to hospital spokeswoman Megan Maloney. The hospital is heading toward a “huge” increase this year, she estimated. “In the past four or five years it’s definitely doubled.” The hospital recently added seven more beds and is planning to expand its facilities to handle the mounting patient load. There are 21 CHC centers in SLO County, and those centers are also increasingly busy. Since 2004, CHC has had nearly 45 percent more patient encounters (some patients visit multiple times). Health care professionals said the increase is due in part to the slumping economy, but most believe the trend is a symptom of a county that needs more primary care. According to local doctors, hospital spokespersons, and several consultant reports, SLO County needs 40 to 50 more primary care doctors in order to adequately serve the population. But SLO is an expensive place to live, and payments to doctors here are far less than the payments to doctors in other areas. Five years after the Soviet Union dissolved, Yelena Lapidus left her job at a government-controlled hospital in Samara, Russia, and began her medical training in California. She’s a tall, slender blonde, and speaks with a thick Russian accent. Lapidus moved to the U.S. at the age of 25 to join her husband, Michael, who had left Russia two years earlier. Twelve years later, she has her own private family practice in SLO. After going back to school to receive an American medical degree from the University of California, Davis served a residency at Sonora Regional Medical Center. She moved to SLO in March with her 10-year-old son and her husband, who is looking for work locally but commutes to Oakland during the week, where he is a crime scene investigator. Despite her success and new private practice, Lapidus said she had to sacrifice to move here. In Sonora she owned her own home, now she rents. But she wanted a good place for her son to grow up and hopes he will eventually attend Cal Poly. Not only have her expenses gone up, she’s also taking a pay cut, compared with her earning potential elsewhere. “I came here knowing that I’m going to make less,” she said. About $2,000 per month less, she added. Why has she taken such a hit? 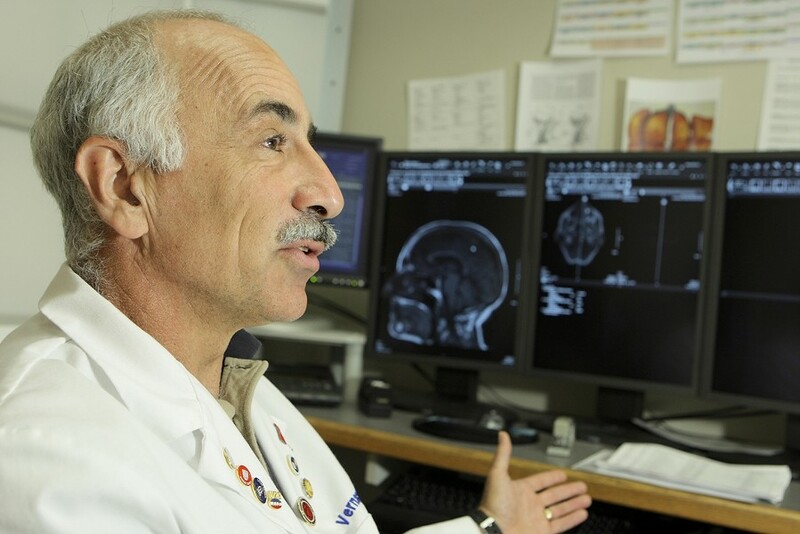 Lapidus, like many SLO doctors, makes less because of Medicare’s reimbursement policy. After seeing a Medicare patient, a doctor goes through a tedious process to prepare a bill. Every procedure and piece of equipment involved has a corresponding billing code, which must be cited. The catch is that the rates physicians can bill Medicare differ from region to region, and in SLO those rates fall well below those of many other locations. SLO is part of Fee Schedule Area 99, which snakes along the coast to include SLO, Santa Barbara, Imperial, and San Diego counties, all of which are considered to be rural areas under Medicare’s fee schedule, which has not been updated since the 1970s. And rural means less money. For example, a SLO doctor gets $298.78 from Medicare for a chest CT scan. In Los Angeles, Medicare pays $327.68 for that same procedure. A San Francisco doctor would get $416.11, about 40 percent more than SLO. The disparity is fairly consistent among procedures. SLO doctors sacrifice as much as 48 percent payment for their work, compared with colleagues in Los Angeles and the Bay Area. In New York City, Medicare reimburses doctors $781.01 for a shoulder MRI. The payment for the same procedure is $730.45 in Ventura and $680.78 in Miami. In SLO the payment is $637. When Lapidus was weighing her options for a new job, she found that SLO was toward the bottom of the pay scale. “I don’t think this area is good for any startup jobs. ; You need to really want to come to this area,” she emphasized. Spokespersons from three SLO County hospitals said recruiting new doctors is often a tall order. Recruiters rely on talking up the beauty of the area and downplay pay in order to lure hires. “If you really distilled it down to it’s basics, what we are asking a physician to do is move to a place where it costs more for physicians to live and you’ll earn less,” said Ron Yukelson, a spokesperson for Sierra Vista Regional Medical Center. But it’s the patients who ultimately suffer. One of Lapidus’ first patients came to her office with a racing pulse and needed immediate hospitalization. Lapidus found that the patient had been walking around with severe medical problems for about four months, but was unable to find a primary care doctor. Lapidus said she was stunned that the patient was even able to walk. Taking care of the body is like taking care of a car, Lapidus said. Sometimes things break without notice and a quick fix is needed, which is where the ER comes in. But the body, like a car, needs to be routinely maintained and checked if it’s going to last in the long run. Medicare was established in 1965 to give the old and disabled affordable health insurance. Though the program has undergone a number of changes since then for its recipients, Medicare providers have not seen a significant adjustment. According to the American Medical Association, costs for doctors have increased about 20 percent since 2001 and are expected to jump another 20 percent by 2015. Medicare’s payments to physicians, however, have not come close to parity. Last year, Congress had to pass special legislation to prevent a 10.6 percent cut and and instead provided a 0.5 percent increase, with a 1 percent increase slated for 2009. Dr. Fred Vernacchia, the physician who reported the increase in county ER visits, is a radiologist at the San Luis Diagnostic Center. He leans into a conversation and speaks bluntly about payments to doctors. He’s not alone in his estimate of the entire reimbursement system. “These insurance companies have raised their rates significantly in the last few years ; well, they’re not raising what they pay me,” Hale said. Private insurance companies base their compensation rates on what the federal government deems fair. The private health-care sector uses Medicare as a base. Private insurers have a lot of tricks in their bags to underpay doctors, Wigglesworth said. Through a system of “slow pay, low pay, and no pay,” doctors can expect to get a meager payment for their work. Despite their protests, doctors have little to no voice when it comes to their reimbursements. Vernacchia said his hands are tied and his option is to either accept the payment or not, but he has bills to pay. As he sat in his office venting frustrations over the current system, Vernacchia cradled a phone in his ear while he haggled with tech support to get his computer back online, occasionally glancing up to answer questions during his interview. That IT expense is another example of the escalating administrative costs most doctors face, while their pay remains stagnant, he said. Vernacchia’s employees expect yearly pay raises and his utility bills have doubled over the past five years. Doctors also have what’s called the “hassle factor.” Vernacchia estimated that about 20 percent of his time is dedicated to writing insurance bills, and Wigglesworth said that’s reflective of most California doctors. CMA has joined other health groups in several lawsuits and legislative pushes to increase doctor reimbursements. But there is often a yearly battle with Congress just to keep the rates from falling, Wigglesworth said. Congresswoman Lois Capps has been a vocal proponent for reforming the system and balancing regional payments. “I am confident that in the next Congress, we will be able to pass more comprehensive Medicare reform that will fix this flawed system that currently underpays doctors in San Luis Obispo and other counties,” she said in a prepared statement. Some primary care physicians in SLO opt to avoid the hassle. Dr. George Johnson used to bill insurance companies. Now, Johnson is an uncontracted, out-of-network physician, meaning he bills his patients and they bill the insurance company. The patient covers the difference between their bill and what insurance is willing to provide. He says his reputation allows him to charge a little extra, but freshman physicians don’t have the same luxury. Presidential candidates Barack Obama and John McCain have their own plans for health care. Obama plans to open government-run health insurance to more people. McCain plans tax cuts—$2,500 for an individual and $5,000 for families—to encourage more people to buy private insurance and foster competition among insurers. Staff writer Colin Rigley is waiting for his health insurance to kick in; contact him at crigley@newtimesslo.com.